Western Reserve Realty Group Inc. believes in the Mahoning Valley and is investing in its future by creating hundreds of new jobs in the housing and construction industries! In 2003, WRRG Broker & President John Simeone celebrated 33 years in real estate and development. He recently completed the Western Reserve Centre project on Rt. 422 in Girard, housing Subway of Girard, Payday Cash Advance and Tropitan Tanning Center. John was the developer of some of the finest developments in the Valley, including the Vineyards in Poland, King’s Lake of Canfield, and Seneca Woods in Girard. He is currently developing two new projects, a condominium development, the Orchard in Howland, and a North Lima gated community, the Lakes at Sharrott Hill. In 2003, WRRG represented over 350 residential and commercial properties, vacant land and new construction at every price level throughout Mahoning, Trumbull, Columbiana, Stark and Portage counties. We have continued to expand our share of the REO market, which is led by our Corporate and REO Director, Susan Penwell. Susan also earned the Award of Distinction for achieving a sales volume of more than $2.5 million during the past year, making this her second consecutive year of membership in the Ohio Association of Realtors® President’s Sales Club. All told, our agents sold in excess of 230 properties in 2003! WRRG welcomed two new Realtors®, Karen Carusone and Caroline Ruley, to their Girard office with another addition planned for January 2004. 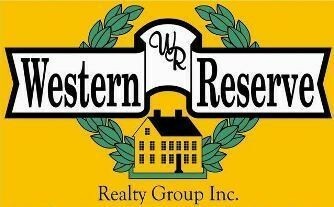 New services for 2003 include access to HUD bidding, guaranteed internet advertising for all of our listings, automatic MLS searches for clients and prospects, and an improved website at www.westernreserverealty.com that offers expanded search capabilities, a free Market Analysis and automated Dream Home Finder plus other new features. January 2004 will see VA properties being added to our inventory and our selection of corporate-owned properties will continue to increase. We will also continue to explore new financing options to help our customers take advantage of today’s super low interest rates. We intend to pursue new methods of marketing and advertising for our company and clients while continuing to provide the same personal, professional service our clients have come to expect over the past 30-plus years!